If you’ve never visited Sri Lanka, you may not know that in addition to its stunning beaches, green hilly tea plantations and wildlife reserves, it enjoys a cuisine of tantalising flavours whose specialities can rival its Indian neighbours. 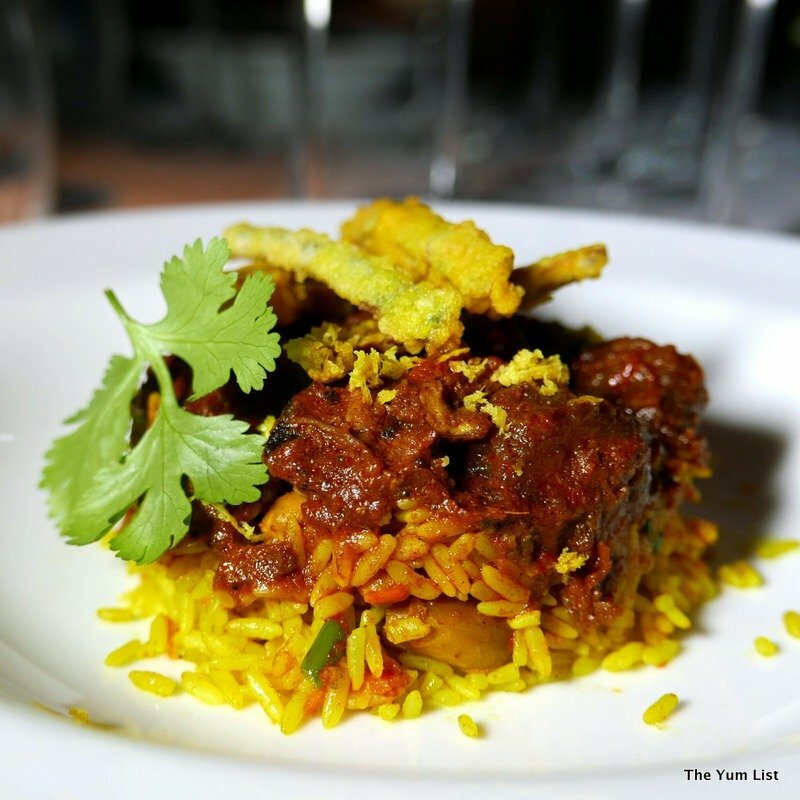 Monica and I were recently invited to A Li Yaa to experience a special dinner featuring some Sri Lankan highlights that Sommelier Dinesh Kumar had thoughtfully matched with wine from premium Chilean wine producer PengWine. Within the modest shop front of this eatery lies a convivial setting and a stylish decor. Urban touches provided by the cement floor and bar are softened with cosy lighting and muted tones. 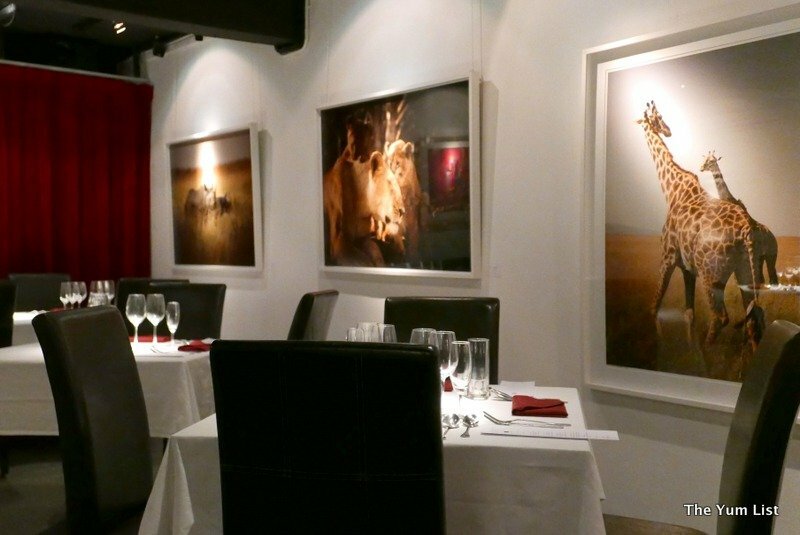 We were swiftly ushered upstairs where the ambience feels more romantic: deep crimson drapes and a gallery of stunning photographs add splashes of vibrancy and warmth to the ambience. 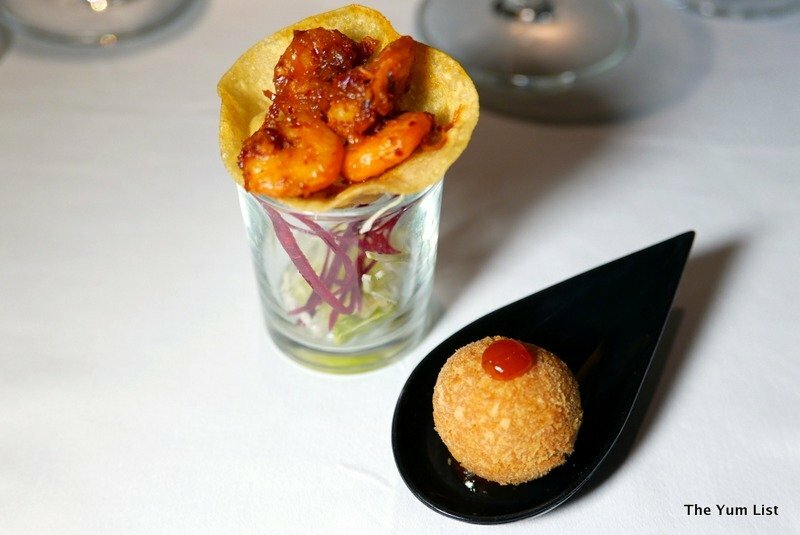 The amuse-bouches that teased our taste buds came in the form of Fish Cutlet and Prawns in Poppadom. Both provided tasty and subtly spiced flavours that whetted our appetites further for the first course. Kiribath Cone Fish looked and tasted comfortingly familiar. Perhaps that was due to the parallels between this dish and local nasi lemak. The coconut milk infused rice and sambal are where the similarities end though. 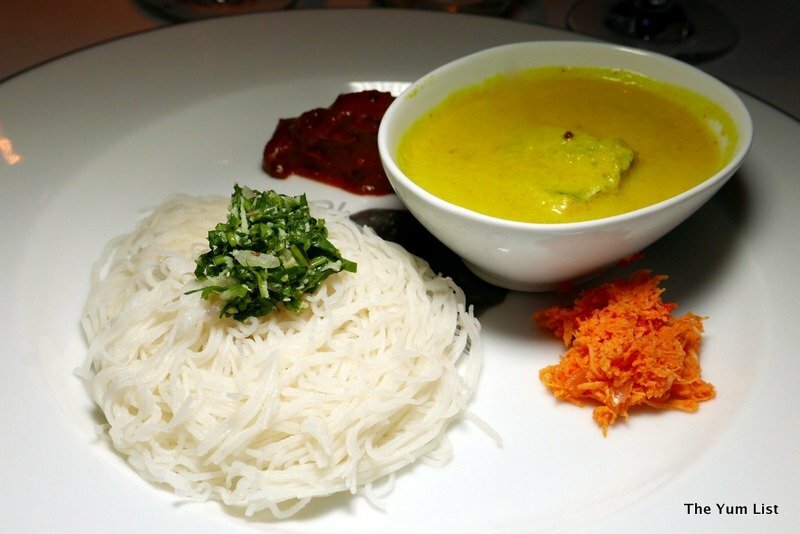 The Sri Lankan classic is served with flaked fish, yellow cream and a garnish of deep fried lotus root. 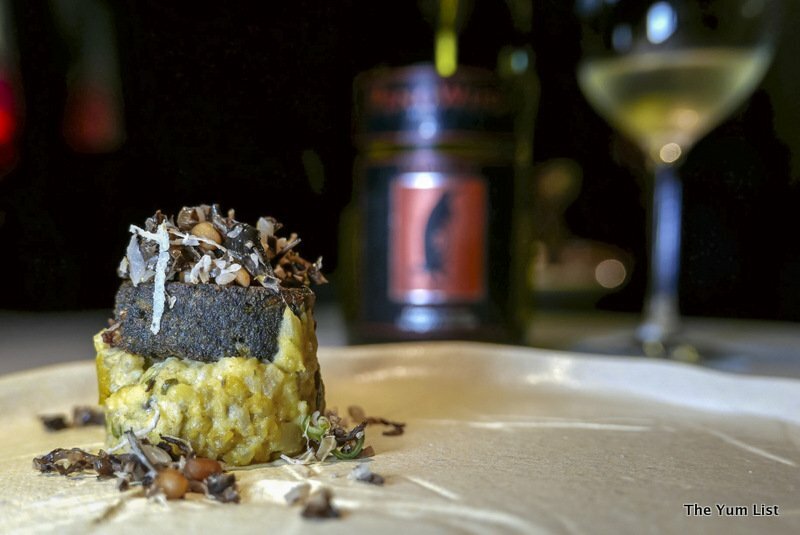 This, like the amuse-bouches that preceded, was partnered by 2014 Chinstrap Pinot Chardonnay, a crisp, vivacious and elegant bubbly that made an excellent overture to our wine pairing. No Sri Lankan meal would seem complete for me without a crab dish so I was very happy to see the next course, Cinnamon Crab, make an entrance. 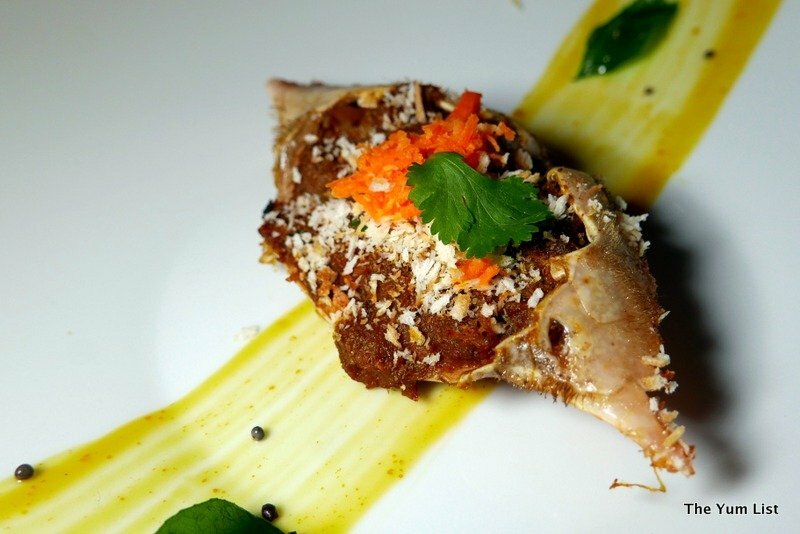 Crab shell dishes were loaded with tempered crab meat below a cinnamon crust, carrot sambal and mango chutney. The rich flavours were well paired with the refreshing 2013 Pagos Chardonnay Sauvignon Blanc. Polkiri Thiyal String Hoppers promised another iconic experience. The string hoppers, ubiquitous at Sri Lankan dinner tables, are little bundles of rice flour noodles. These ones came with a delicious fish sothi, a mild coconut fish curry infused with plenty of turmeric that lends a tasty tang and a golden hue. 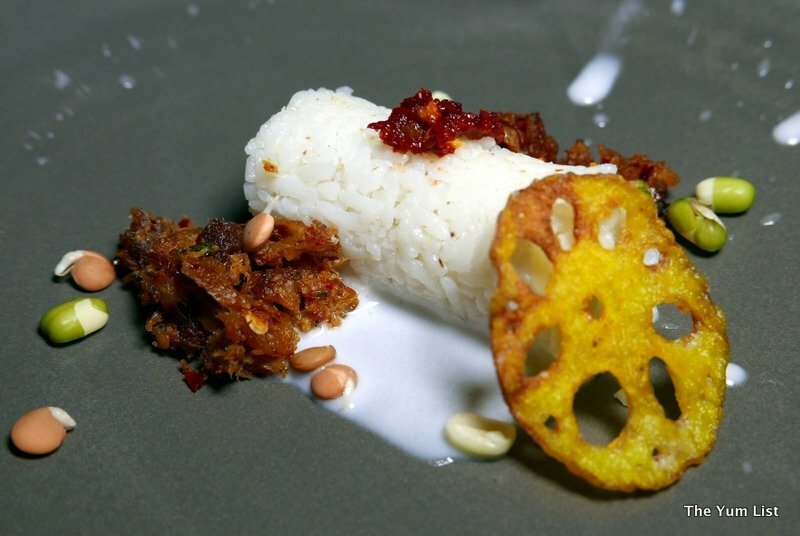 Further coconutty flavours were added by a pol sambol and a refreshing mango chutney provided a fruity zing that cut through the creaminess of this dish. The 2010 Magellan Chardonnay Sauvignon Blanc that accompanied this course was crisp and well-balanced partner. 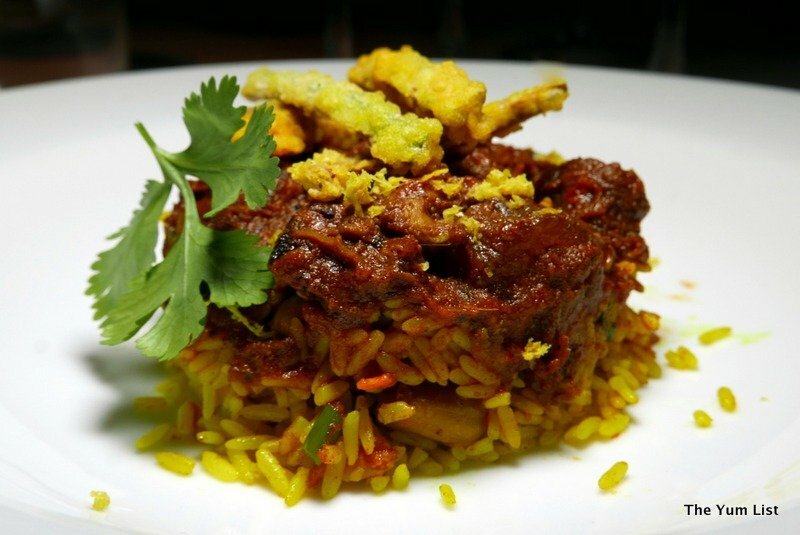 Our final savoury course came in the form of Ceylon Mutton with Lemon Rice. A plethora of Sri Lankan spices with garlic created robust, mouthwatering flavours. The slow cooked meat was succulent and tender. We loaded our forks with the meat, zesty lemon rice and battered fried okra and enjoyed the tantalising combination of textures and aromas. A dish that could stand up to plenty of body, it was fitting that it was partnered by not one but two reds! The 2009 Humboldt Cabernet Sauvignon Cabernet Franc and the 2009 Rockhopper Cabernet Sauvignon Carménère were tasked with this role and fulfilled it perfectly. Our expert guide, Dinesh, showed us how different pairings could bring out different experiences with food. The first, slightly more fruity, worked to tame the spice, while the second served to bring the spice out further both in the food and the wine. Aliyaa Sweet Appam provided a welcome light and delicate conclusion to our meal. 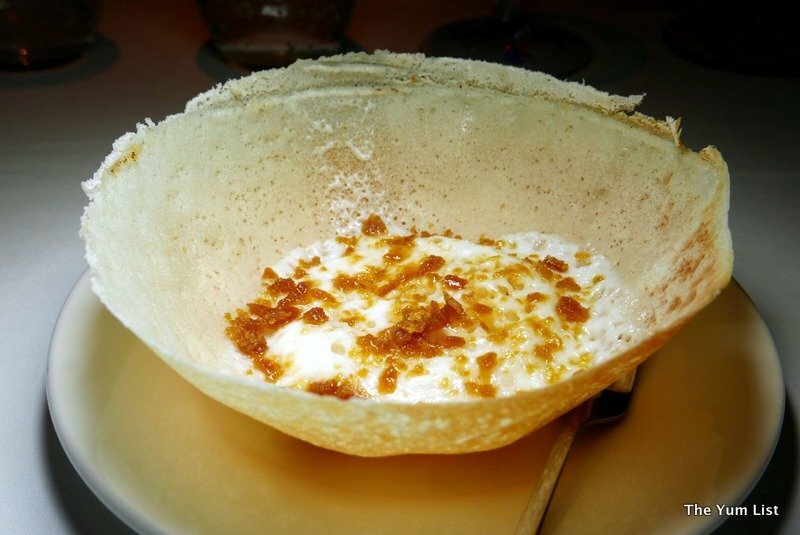 The appam or rice pancake was crisp around the outside and fluffy in the centre. Coconut milk and jaggery (or cane sugar) provided a delicious sweetness that we enjoyed alongside an aromatic Masala Chai Tea. Reasons to visit: attentive service, stylish setting and wonderful authentic Sri Lankan flavours. Our favourites were the Polkiri Thiyal String Hopper and Aliyaa Sweet Appam. 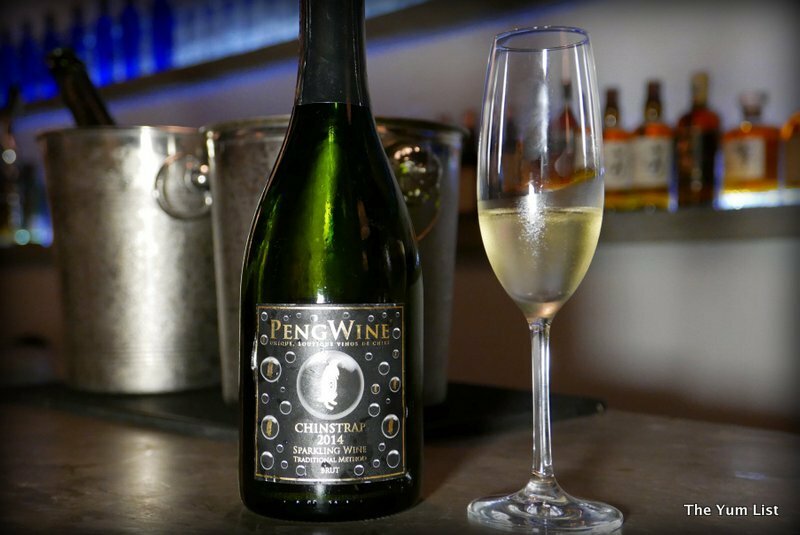 Find out more about PengWine here. I have not tried Sri Lankan food before. Would like to try the mutton rice so bad. I think you’d find lots of similarities and just enough difference to make it interesting. Sure would love to try their cinnamon crab – I love stuffed crabs! That would be a great first order. I love the animal prints on the walls and the presentations are creative. One of the owners is quite the photographer and takes most of the photos himself. 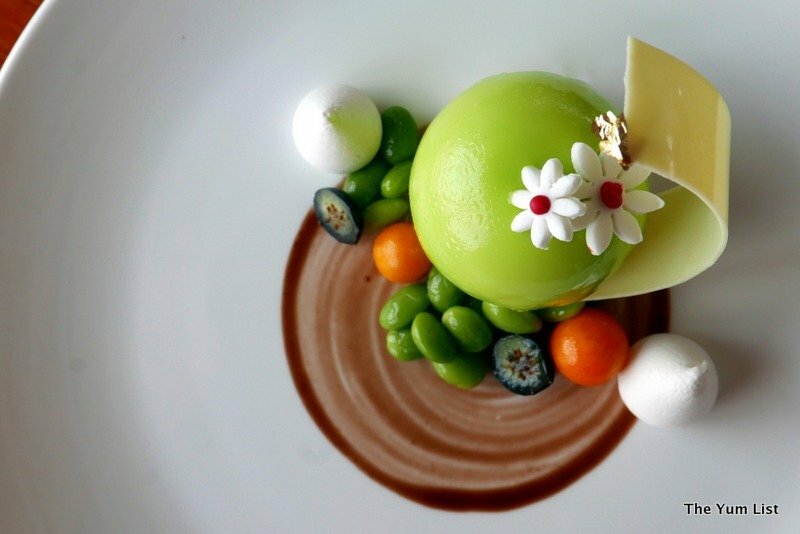 Lovely ambience and the food presentation. Never try Sri Lankan cuisine before. If you enjoy curries, there are some real must-eats here. You wouldn’t regret it. Food is very tasty. My mouth waters just looking at these delightful dishes. 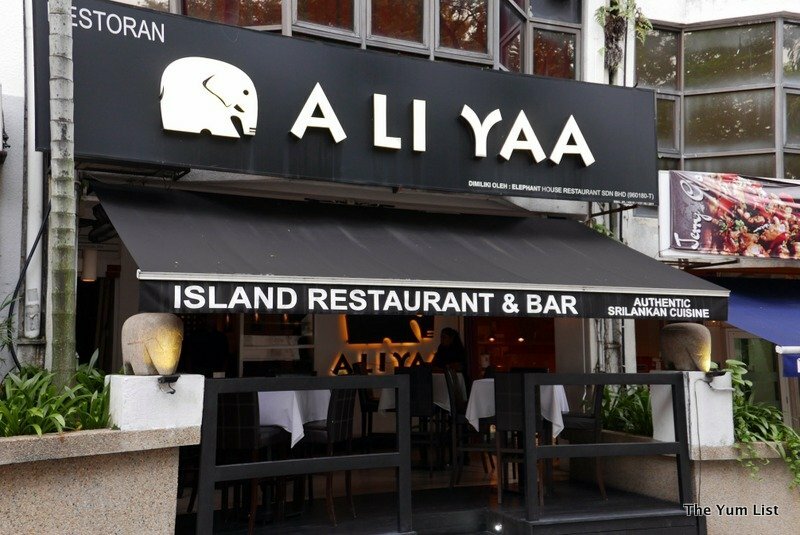 Visited last week and absolutely LOVED the food and the overall experience. The string hoppers and curry dish was spectacular. Cannot wait to return. Nice call, Yum List!!! !